So of course the first thing I talk about when I get back is Swamp Thing. …the Swamp Thing Bronze Age Omnibus , containing approximately ONE MILLION PAGES of Swamp Thing goodness, starting with the initial story in House of Secrets #92 (making this my, I don’t know, 87th copy of that story) and running through the second series up ’til just before that weird British guy with the beard takes over. I haven’t read through the whole thing yet, but my general perusal reveals good reproduction of the art, recoloring that reflects the original presentation, and also it weighs about as much as a Ford Festiva, so don’t let this sucker rest on your legs for too long. However, like my issue with the Don Newton Batman book, it all just looks weird being on nice white glossy paper and not on decaying newsprint. Well, maybe not so much the first few issues, which have been reprinted (and repurchased by me) in multiple upscale formats. But, like, seeing Thrudvang clearly printed in bright colors is an experience that’ll take some time to get used to. As I half-suspected, the extant pages of the unpublished Swamp Thing #25 from the 1970s were not included. I was sort of hoping maybe they would print these, much in the same way the unreleased Firestorm issue was included in that trade paperback. But they might not have had all the pages, or even had suitable copies of the available pages for printing, so there you go. Maybe someday. Also left out are any tie-in books, like Brave and the Bold and Challengers of the Unknown , that came out during the time the other comics in this book were released. I can understand, since we’re already pushing 1,000 pages here, but still, the Challengers issues did follow up on events from the last couple of issues from the original Swamp Thing series. It would have been nice to have them in there just so there’s some transition from the status quo at the end of #24 and where things are at in Saga of the Swamp Thing #1. 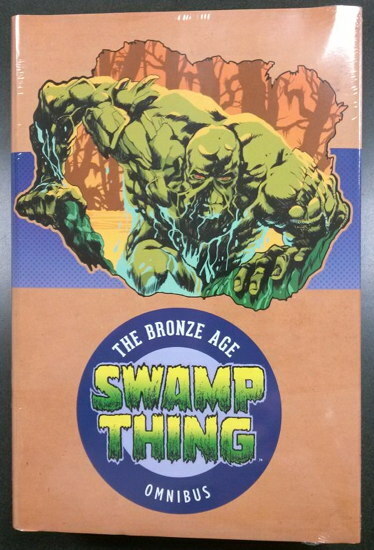 Issue #19 of Saga of the Swamp Thing is included, so its omission from at least one online listing was definitely a typo. And the reprint of #18 includes all the new art that appeared in that issue, while directing the reader to previous pages in the omnibus for the story from original series #10 that was originally reprinted therein. It would be nice if they had a second volume covering all that ’70s/early ’80s swamp stuff they skipped, but that seems unlikely at this point. 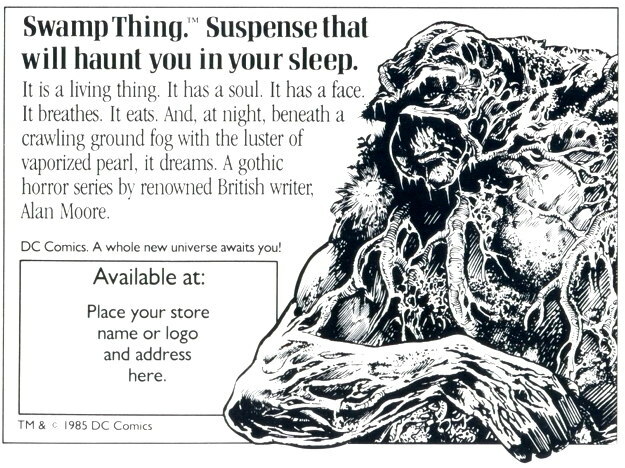 Any theoretical second volume is going to pick up with the Alan Moore material, probably including the one DC Comics Presents …and when that book comes out, come back here to see me wondering if they’ll include Rick Veitch’s “Swamp Thing Meets Jesus” story in Omnibus #3. …and keep a lookout for the Swamp Thing Winter Special in early 2018, featuring what would have been the debut story for a new series written by cocreator Len Wein, and illustrated by Kelley Jones. Wein only finished the one issue before he passed away, which is a shame, but it’s nice that we’ll get to see it. A new 40-page story by Tom King and Jason Fabok will accompany Wein’s final Swamp Thing. Sounds like an all-around pretty good comic book to me. Brave and the Bold and Challengers of the Unknown aren’t included? I had thought they’d been solicited as being in there. That’s annoying. As for Thrudvang, I want a wall-sized poster of him.